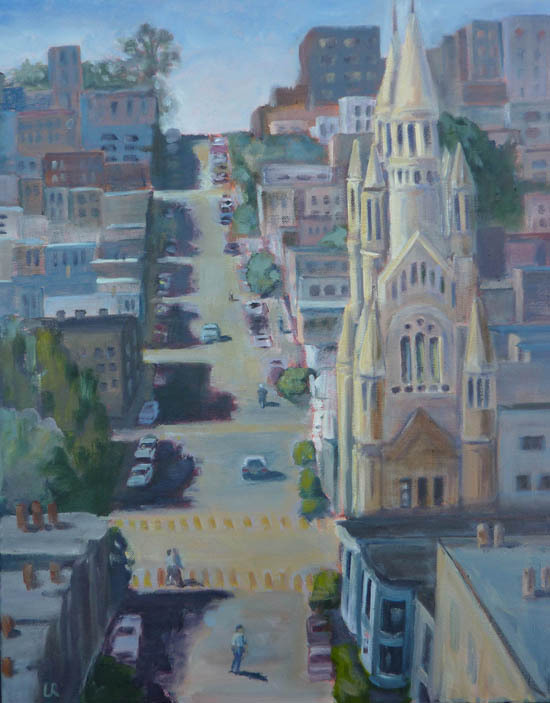 "West on Filbert St" oil on canvas, 16x20in. 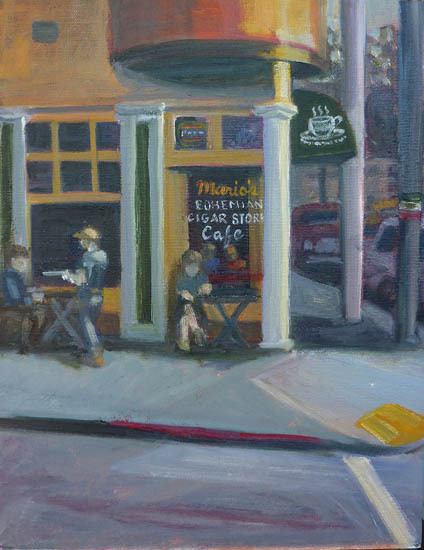 "Bohemian Tobacco Store" oil on canvas, 11x14in. 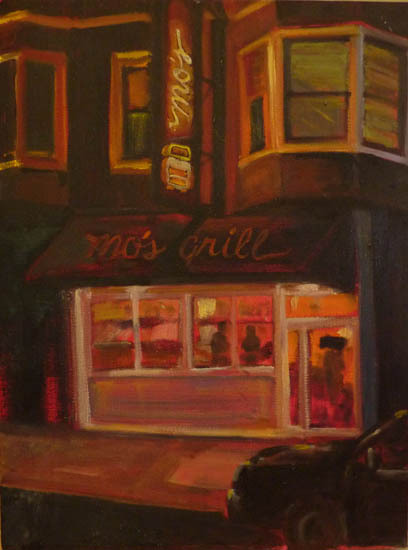 "Mo's at night" oil on canvas, 11x14in. 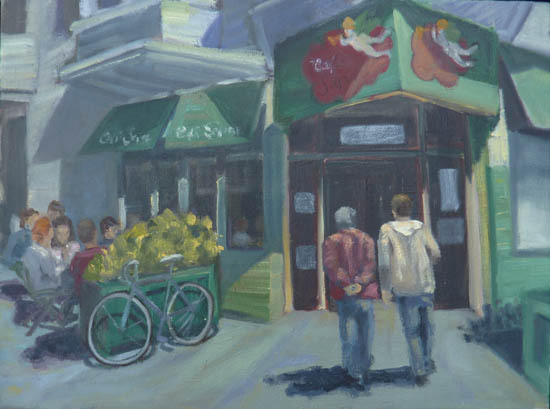 "Caffe Sapore" oil on canvas, 11x14in. 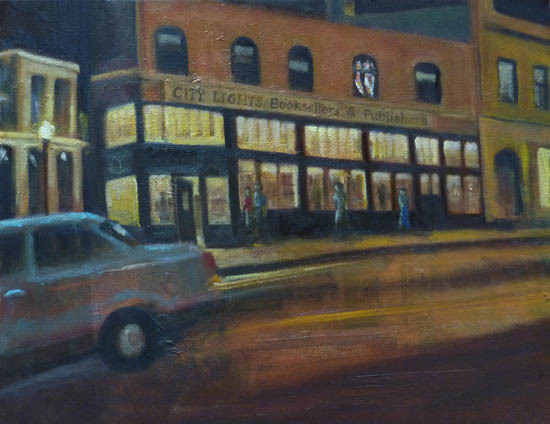 "City Lights Bookstore" oil on canvas, 14x18in. 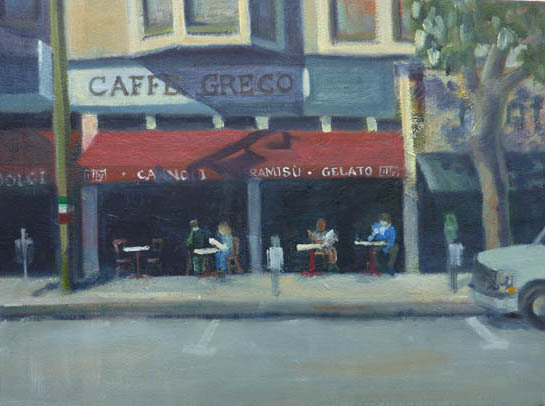 "Caffe Greco North Beach" oil on canvas, 12x16in. 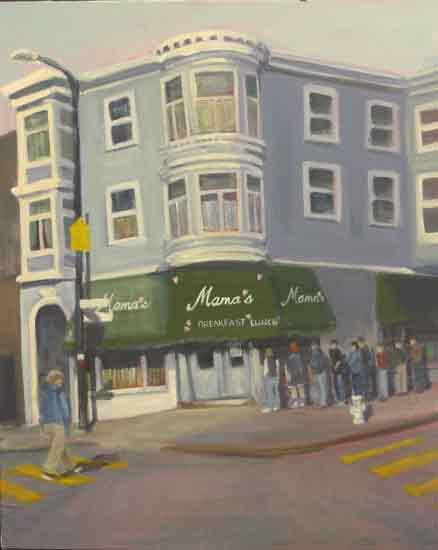 "Mama's on Washington Square" oil on canvas, 16x20in. 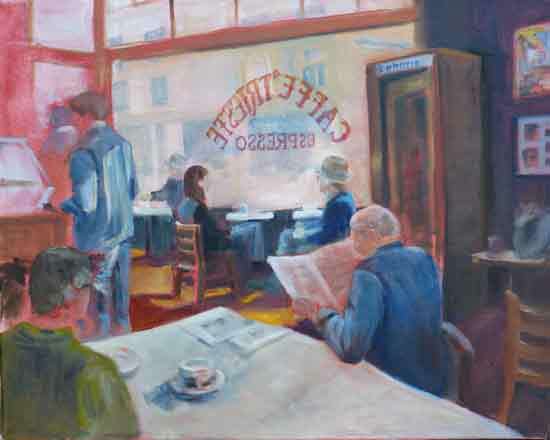 "Caffe Trieste" oil on canvas, 16x20in. 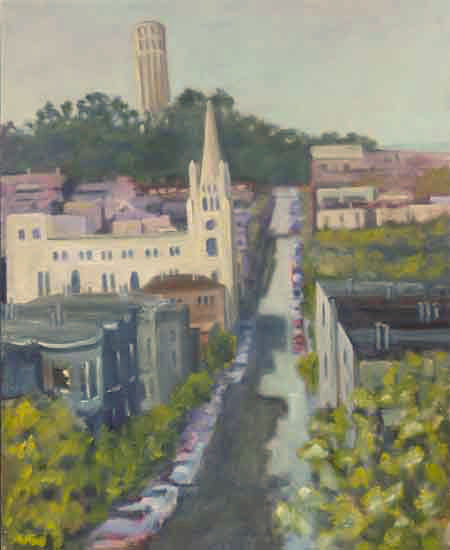 "East on Filbert Street" oil on canvas, 16x20in. "After Dark" oil on canvas, 8x16in. 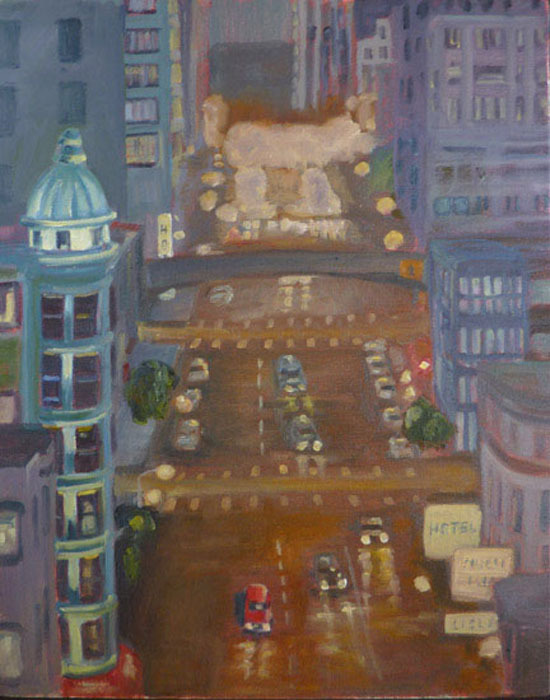 "Kearney St. After Dark" oil on canvas, 16x20in. 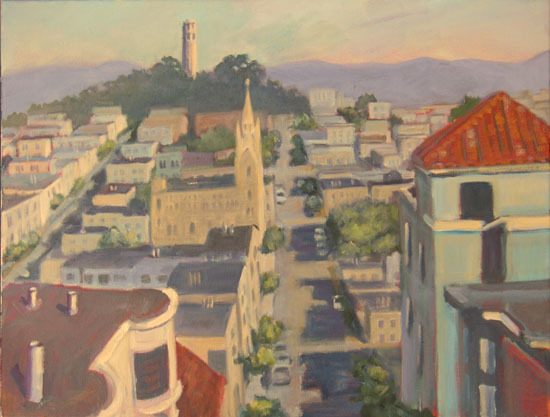 "View from Russian Hill" oil on canvas, 18x14in.